While this may look like the much more common ebony jewelwing, look carefully at the wings. The river jewelwing is an extremely rare damselfly in Ohio, but I find it regularly on the Crooked River in Maine. Ohio's population persists only on a small stretch of the upper Cuyahoga River in Geauga County. You may have seen the quite similar ebony jewelwing, which has entirely dark wings, rather than the coloration being confined to the tip as seen above. 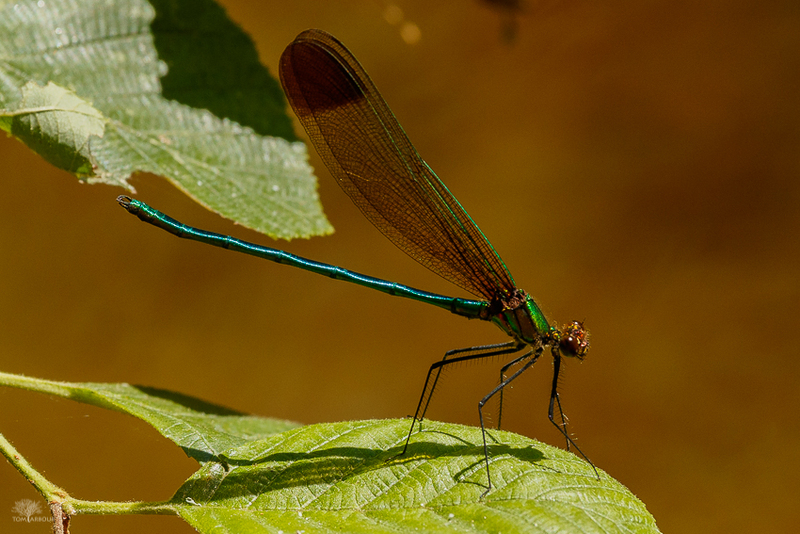 The ebony jewelwing is perhaps our most conspicuous damselfly- it can be found along almost every wooded stream in Ohio. The river jewelwing is a Maine treat for this Ohioan.